All brand new, high end, custom home looking out over very usable, fenced, 2.6 acres with Chihuahua Valley views. Top-of-the-line appliances, fixtures, and flooring--you'll be impressed! Quality workmanship and attention to detail throughout the 2174 sf, three bedroom and three and a half bath home. Let's go see! Sit in your living room and see the Coronado Islands and the San Diego skyline with Point Loma outlined against the gleam of the sun shining on the ocean. 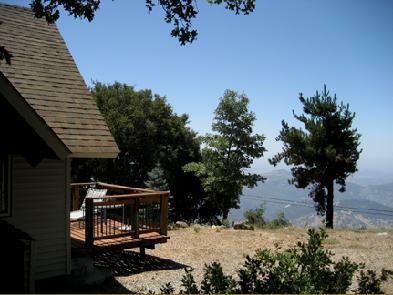 Newly remodeled custom home, guest house, workshop, an enchanting tree house, and much more with take-your-breath-away views on six and a half beautiful, usable acres. Sparkling clean, ready to move right in and enjoy our four seasons! 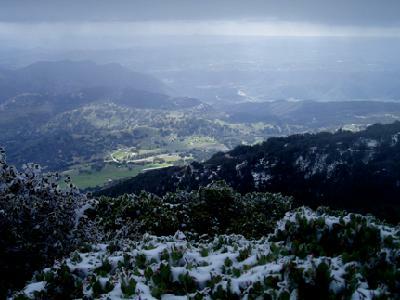 In Gordon Stewart's Book, San Diego Back Country 1901, we read about Palomar: "I do not believe any nature-loving man ever spent a month on Palomar without coming under the spell. In the year 1904 there was a "Hidden Cabin" on Palomar. Travelers could pass close to the cabin and not see it... Legend was that Kit Carson spent a winter there…" Could this be the Hidden Cabin? Private, quite, remodeled over the years. The perfect 'resting place'. 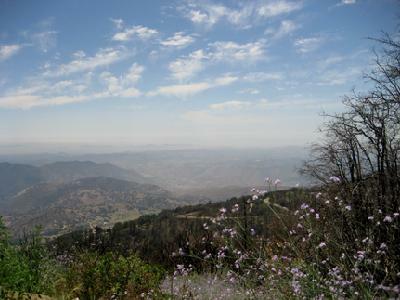 Dreaming of a building site with a spectacular view all across San Diego County? Like to see the sun shimmering off the ocean? Here is 1.3 acres with a building layout, easements, and water share. See photos, maps, layouts and more with a simple click. Come on up for this spectacular 100 mile view! Bring your handyman skills to this bank owned cabin with a beautiful stone fireplace and very inviting knotty pine. Used as four bedrooms plus an office area with a sunroom all across the back and a laundry area too! Click for more photos and come see! What a beautiful view! See from the mountain to the sea with starry, starry nights. 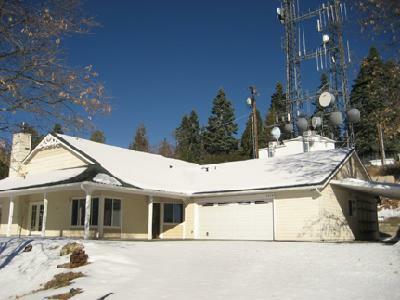 Two acres on the far west side of Crestline. Drive right to the land on deeded easement. Brush burned in the October fire which did a good job clearing the property for you to be ready to build. Water share and power close. Wow! This one went quick with a four day escrow! This is one of several we have found for investors this year. We check the health of the HOA, location, rental demand and amenities. 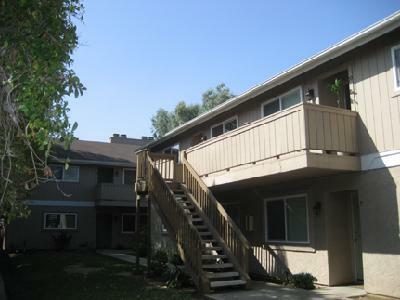 This was a 2005 condo conversion in a 16 unit complex, nicely maintained with a low HOA. All newer windows, roof, paint and upgrades. Each unit has a fireplace, washer/dryer and are two bedrooms and two baths. Pretty good investment for $115,00, don't you think? Simply call 888 718-5358 and we'll help you with some 'fabulous finds". 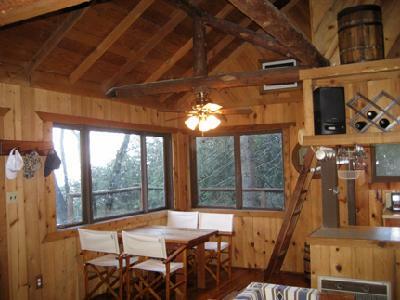 A very fun, cozy, cabin getaway with a sleeping nook and ladder to two lofts. 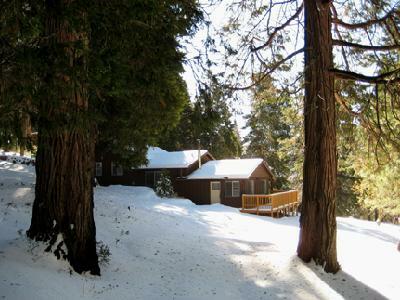 It's a private escape with a beautiful view to the east from your warm, inviting knotty pine cabin with open beam ceilings. 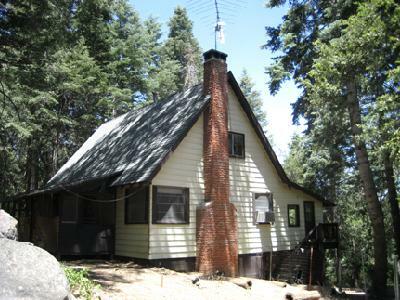 This vintage cabin has had remodeling over the years and now has a few projects for you. 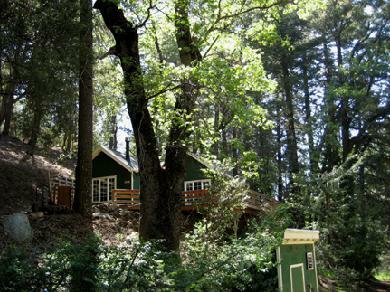 Click to see inside the charming Little O'Chalet. It's just like stepping into a brand new home with so much, high quality remodeling. The living area was opened up to truly entertain in style inside or take advantage of the 'outside rooms' all with spectacular views. The half acre is beautifully landscaped and also has fruit trees and a garden option to delight all with a green thumb. Easy care maintenance! Click for lots of photos and helpful maps. 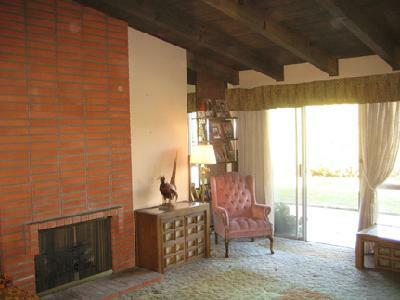 Much remodeling in 2005 in this four bedroom, bank owned, 'top of the hill', view home. 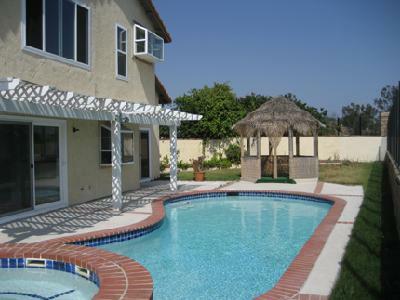 Located in the High Country West development of Rancho Bernardo. New designer paint throughout! Pool and spa were just resurfaced--just in time for summer fun! Click for a photo tour, map! Several building sights compete for the location of your dream home. Meanwhile enjoy the 'cabin on wheels' the present owners have waiting for you. 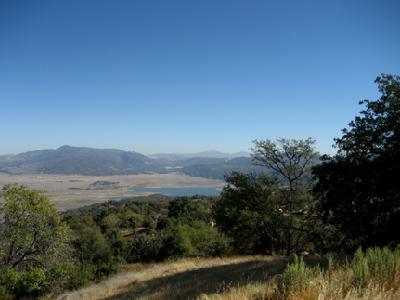 'Cielo y Tierra' or 'Heaven and Earth', is 60 beautiful acres with peaceful, inviting views in all directions as far as the eye can see--Lake Henshaw, the Laguna Mountains, Palomar Observatory, dotted with oaks and wide open spaces. See the beautiful photos from the 'owner's album' with a simple click. Beautifully restored adobe home, 1200 sf guest house, caretakers quarters, rental, or maybe even a store front with the broad zoning! 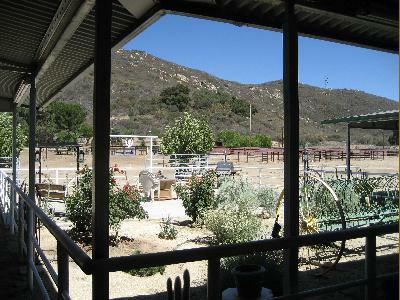 Plus, guest apartment, 4 car, pull-through garage, 3 car garage, 3 stall barn and tack room. Hay and storage barns, patios and spa. 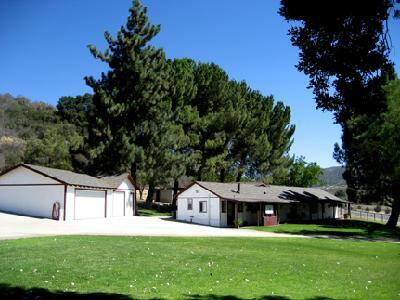 Beautiful mature trees and family orchard all on 9.68 very usable acres with water, power and phone in the heart of Sunshine Summit just 30 minutes from Temecula but a world away. Click for Photo Tour! 16.48 very usable, level acres with a professional horse arena with picnic area. Top-of-the-line, just-like-new, insulated MD Barn with 8 box stalls with turnouts, tack room, lounge, laundry and bathroom. Elaborately fenced and cross-fenced, ten 50x120 irrigated pastures. Excellent infrastructure with two wells and three phase power out on the range in Sunshine Summit. The day the bank assigned the price, the very patient buyer who had been waiting in the wings since last summer, signed the contract. Some damage and repairs needed. 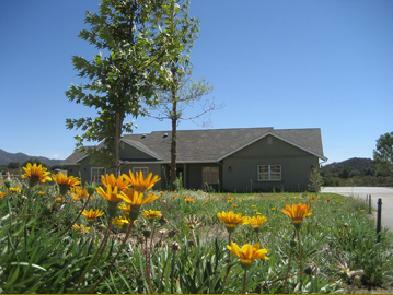 Quality built in 2002, 1731 sf on .62 acres with a southern facing, off-mountain view. The original owners recently moved to assisted living out of state. It is staged and ready to go. Four bedrooms, open beam ceilings in living room, family room, and master suite, big brick fireplace, two car attached garage. $5,000 carpet and paint allowance. Termite clearance work completed. Home inspected and electrical and plumbing repairs completed. No HOA, no mello roos. Could make a great first home or investment property for a rental right off Ash Street in Escondido. Click to see directions and a photo tour. Refreshingly sparkling clean, this tri-level home has sooooooooo many options! This is not a fixer! Almost every inch has been newly remodeled with fresh paint inside and out not too long ago. But that is only the beginning on nearly one acre! Take a look at the Tour!